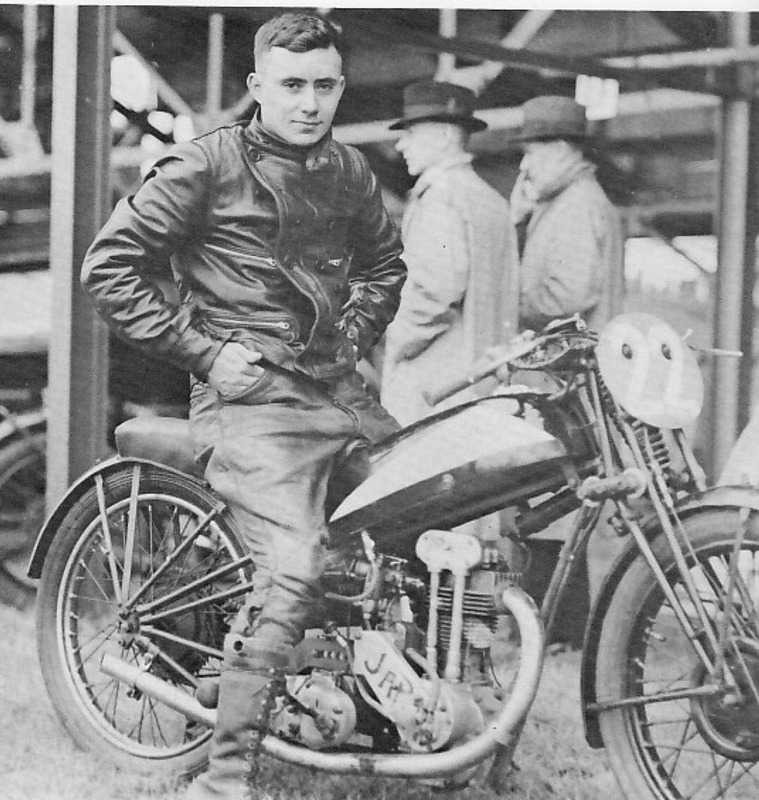 George Pepper was the pride of Belleville, Ont., and one of Canada’s most naturally talented motorcycle racers of the prewar era. He was an exceptional rider with successes in Canada, the United States and England. With the outbreak of the Second World War he became a pilot in the Royal Air Force and was decorated for bravery before his life was cut short by a plane crash on a test flight in 1942. In 1936, George rocketed to fame when his home town hosted its first road race through the streets, the Canadian championship 200 held in Belleville. It drew 35 entries from star riders such as Madison Sale, Bruce Venier and Tony Miller from Toronto, Bob Sparks and Elwood Stillwell from Windsor and Americans Babe Tancrede and Ben Campanale on factory-backed Harley-Davidsons. Nearly all the Canadian entrants rode British makes such as BSA, Norton and Rudge. The starter was Toronto motorcycle dealer Percy McBride and a crowd estimated at 20,000 lined the streets to watch. George’s abilities were soon noticed abroad, and he and several Canadian racers were persuaded to compete in the English speedway leagues. Racing’s popularity in England dwarfed the Belleville crowds, drawing up to 60,000 spectators in an evening. When war was declared in September 1939 George immediately enlisted, working first in a factory building Spitfire aircraft and in September 1941 becoming a commissioned pilot in the Royal Air Force. He was awarded the Distinguished Flying Cross but only weeks later, on Nov. 17, 1942 he and his crew were all killed during a daylight test flight in which the plane went into a spin from which it could not recover. His ashes were returned to Canada and buried in the Belleville cemetery. George Pepper passed away in 1942.